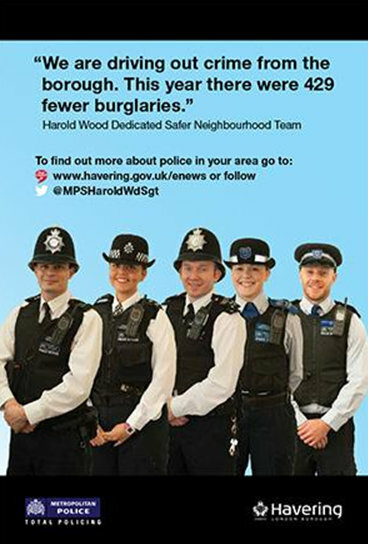 I would like to take this opportunity to give you a brief end of year update from Harold Wood Police Team. 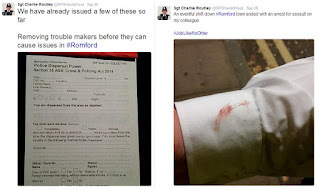 For those of you who follow me on Twitter (@MPSHaroldWood) most of this will be old news but, our year in brief. There is so much I have had to leave out but that is simply because the email could be too big to send! February - A busy month saw us dealing with repeated criminal damage at the Long Term Conditions Centre in Harold Wood (damage costing over £10,000 in total). During which, we located the gap in the fence being used by the suspects and sorted out a DIY fix! (The NHS have since installed a proper metal fence after an email from me highlighting the gap. In February I also ran our 2nd #MPSHaveringLive which is a live tweetathon of live 999/101 calls as they happen. 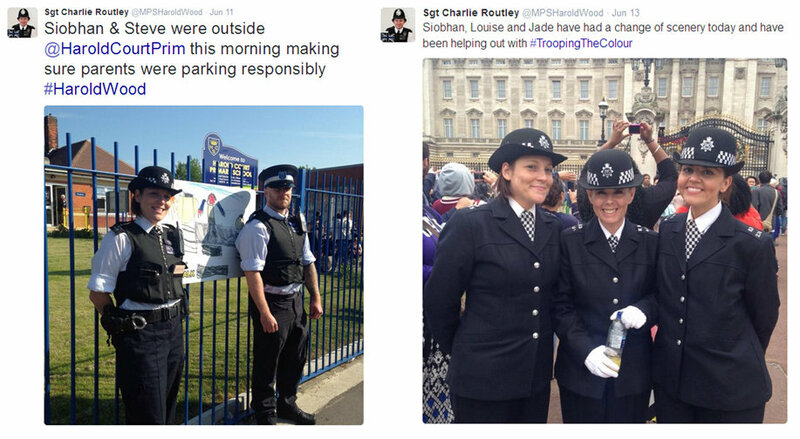 This is to give you an insight into an average day for officers on our borough. If you haven’t seen any of the tweets then search the hashtag on Twitter (Next one planned for February time. 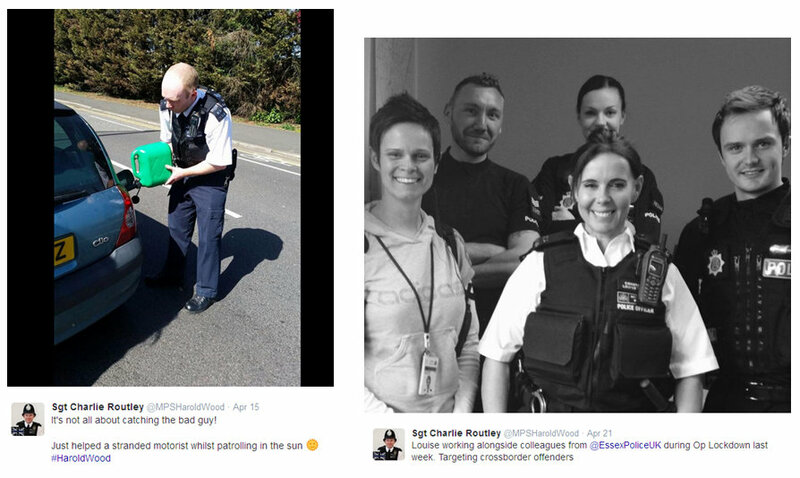 Date TBC) The team also assisted in Op Cubo which targets uninsured drivers. During this Op we helped to seize 9 uninsured vehicles off the roads of Havering. We closed down a Cannabis Factory in Harold Hill, arresting the suspect in the process. 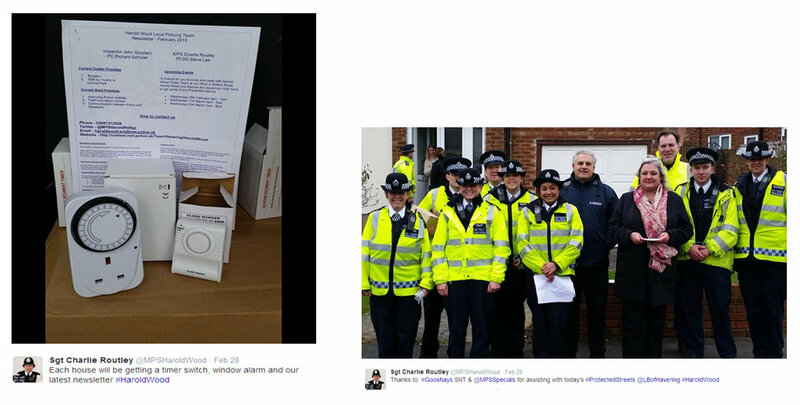 March - Started with a joint initiative with Havering Council and Trading Standards called “Protected Streets” which saw the team knock on every door in several roads on the ward and supply the residents with crime prevention advice and items such as Timer switches and Window Alarms. April - A notable rise in residents reporting discarded Nitrous Oxide canisters around Harold Wood began as the recreational use began to make national headlines. I’m glad to say that this issue appears to have stopped now. May - The team assisted with policing the general election. Several polling stations in Harold Wood and Harold Hill. June - A very busy June! The 1st of June was the day I officially became a Sergeant. Having “acted up” doing the role for a while. I put on another live tweetathon as #MPSHaveringLive returned. With myself and PCSO Steve Lee did our bit to help keep Harold Wood clean by cleaning up the children's play area in Painesbrook Park (which to this day is still graffiti free!) whilst Jade and Siobhan helped the Friends of Harold Wood and Painesbrook Parks with a litter pick. Following concerns raised from Harold Court School we also continued out patrols outside for parents who park dangerously. 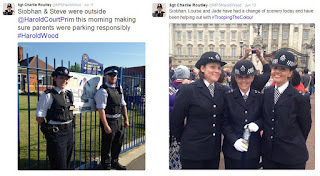 Siobhan, Louise and Jade assisted with Trooping the Colour in London. Finally in June we attended Harold Court Primary School Summer Fete during which the kids were able to try on some uniform, have their finger prints taken and I ended up being gunged! and 7 vehicles in seized for being driven without insurance. We helped an elderly resident who had been scammed out of thousands of pounds. Working closely with their family to get the correct support they needed. 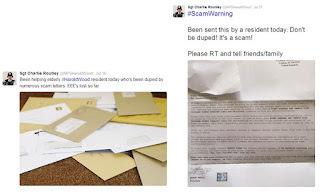 Another scam was doing the rounds which we also informed everyone about via Twitter and email. 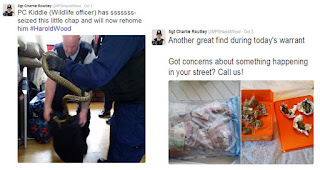 If it sounds too good to be true….. that’s because it most probably is! July ended with us attending the Star Wars Convention held at the Community Hall in Harold Hill. Arranged by a local resident (and ward panel member!) 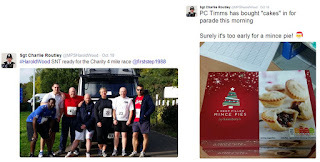 the event was held to raise money for some very worthy local causes. Ward Officer (DWO) to the team. PC Anthony Kiddle is an award winning Wild Life Crimes officer and took over the mantle of DWO on a full time basis following my promotion to Sergeant. September - The team had some brilliant results with arrests and offenders being charged and taken to court. The warm nights meant that we extended our patrols in parks and open spaces to address concerns about anti social behaviour as well as reducing burglaries being reported at dusk. We also began helping in Romford Town Centre on a 5 weekly basis. October - During October the team conducted several search warrants during which large amounts of drugs and cash were found. Along with the suspects being arrested, Anthony seized and re homed this little guy! 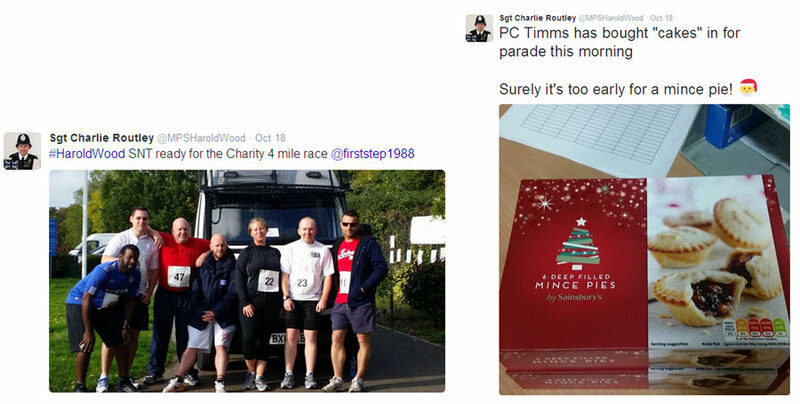 The team took part in the inaugural “Mayors Charity Race” over Harold Wood Park where funds were being raised for two local charities and Louise brought in some rather unseasonal cakes! November also saw us increase our Burglary patrols at key times along with delivering crime prevention via Twitter, Email, Leaflets and even by Periscope (a live streaming app where we recorded a patrol). 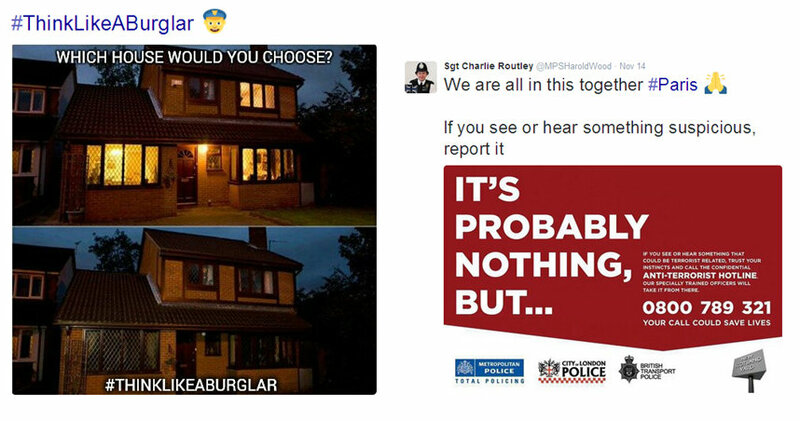 December - Our efforts to reduce Burglary continued with further patrols, crime prevention advice and even a video on Vine showing how you can use Christmas lights to avoid becoming a victim of burglary. Another live tweetathon was done on the 16th and the bravery of my colleagues during the incident in Leytonstone left me in complete awe and admiration! We conducted a Drink Drive awareness morning operation at Harold Wood train station to highlight the dangers of driving the next morning when still over the limit. All that is left to say is that Harold Wood SNT wish you a very Merry Christmas and a healthy and prosperous 2016. 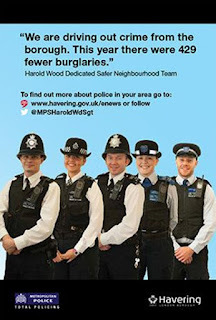 We are already making plans for early next year to help keep Harold Wood one of the safest places to live in Havering!